In the world of business, money talks. So we wanted to help organizations understand the real cost of employee turnover and lack of engagement. To do this we began digging into the research. Every day we see lots of statistics about employee engagement and many stats related to productivity, innovation and bottom-line results. We also know that level of engagement impacts retention rates and can help you attract the very best people. We took this research and started to crunch some numbers. The results were astounding! Then we built a calculator so businesses could see for themselves what turnover and disengaged employees are costing them. Our calculator will not only help organizations understand the real cost of disengaged employees, but it will help us further research and understanding in this area. I have to say that I am super excited to be collecting data that will help our clients and other organizations going forward. Of course, we also hope this helps people understand that a small amount of attention and focus on internal communication can make a real difference to your bottom line. 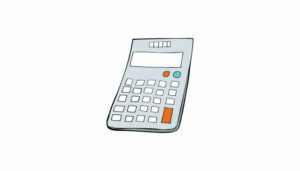 Try the calculator challenge today and see how much more engaged employees would make to your bottom line!